Antique furniture, pictures,fabrics: you won’t want to go home. 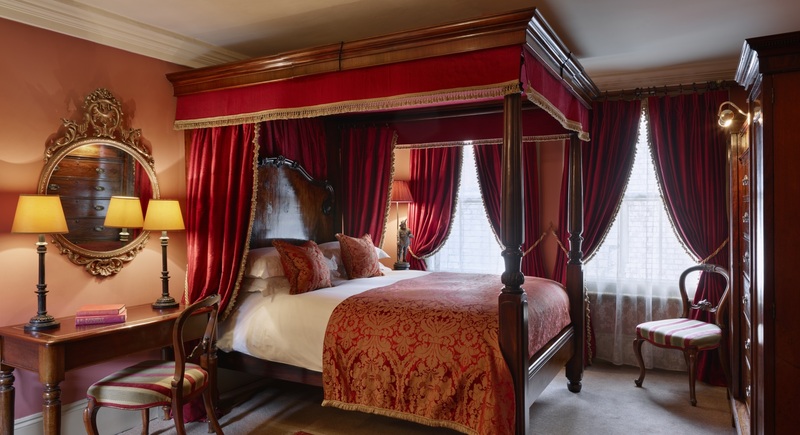 In all of our Superior Double rooms, the bed is either 17th Century carved oak or a Georgian four poster. Bathrooms have restored Vintage fittings, many with roll-top baths, overhead showers and high level cisterns. All rooms are air-conditioned and have complimentary Wi-Fi, flat screen television, mini bar, safe and REN toiletries.